Although it would be raining the majority of the weekend (of course), I decided to stop wishing the weather would be better and go explore. I’ve lived in Granada for over a month, but it’s a city and there are still places that I have not visited, seen, explored. I want to know this city inside and out. 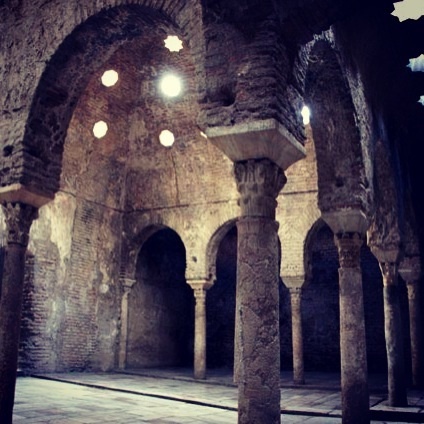 After Exploring these gardens, I found a place called Corral de Carbon (Coal House) and also stumbled upon the old ruins of the Arab Baths (called El Bañuelo). Overall, it was an amazing day of exploring and I felt like I really took advantage of the nice day Granada was experiencing. The best part, to me, was that I did everything on my own. I spent the whole day with me and it was so lovely. I simply explored and did what I wanted to do and found some real gems of places. The rest of the weekend’s weather was not so pleasant, but I was still able to enjoy many new things thanks to my desire to explore my amazing city. To begin my Saturday morning, I wandered a half hour walk to the back of the city to the Cartuja Monastery. Unfortunately, I could not take photos here. This was one of the most beautiful places I think I have seen in Spain. Maybe even in Europe (so far). The chapel inside this monastery was so breathtaking that I literally gasped when I walked in. Every inch of EVERYTHING was covered in paintings of religious people, flowers, angels. There were intricate carvings popping out of the wall and bright reds, blues, and golds that adorned every speck of the wall. The altar showcased a giant tower made of gold with angel statues surrounding it. Although the chapel was probably only 20×20 feet, I spent almost an hour just admiring the detail of the place. Even the floor was something to marvel. The multiple types of marble and stone in all colors imaginable. 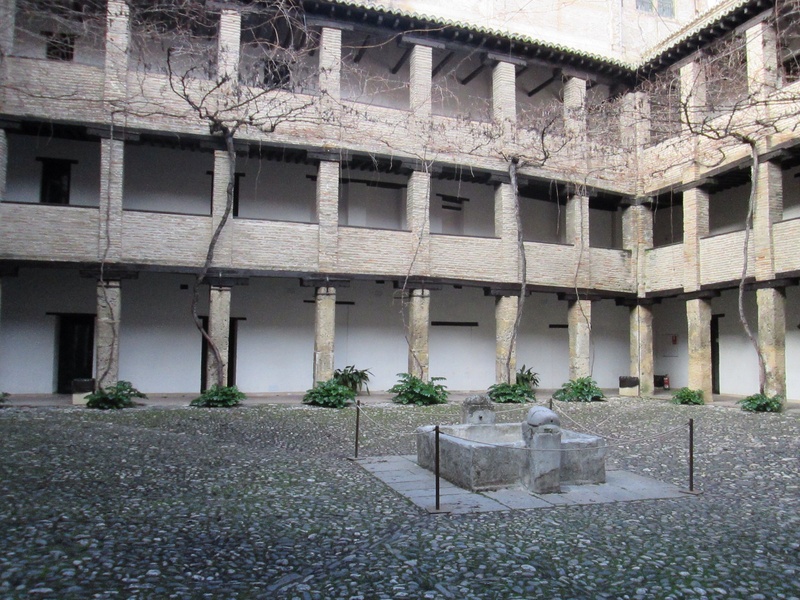 After that, I found myself exploring the Albayzin (the oldest neighborhood in Granada). The streets are incredibly narrow and winding and it’s so easy to get lost, but I finally found my way to the top of the neighborhood and found myself at El Mirador de San Nicolas (St. Nicholas’ Lookout) where I could see the Alhambra and the rest of the city beautifully. I saw many other beautiful colors and cute little doors along my way. I spent Sunday exploring the Arab quarter and even had Mango Tea in a Tetaria (tea shop). It was really good and I liked the vibe I felt while being in this part of Granada. All of the little shops that sell little trinkets, tapestries, hookahs, earrings, etc. all make me feel like I’ve been transported to another area completely. I loved exploring my city, but I’m going to love even more the next week because I will get the opportunity to share the beauty of Granada with my other half when he arrives in just a few short days! I simply cannot wait to show you my new city, Kris! 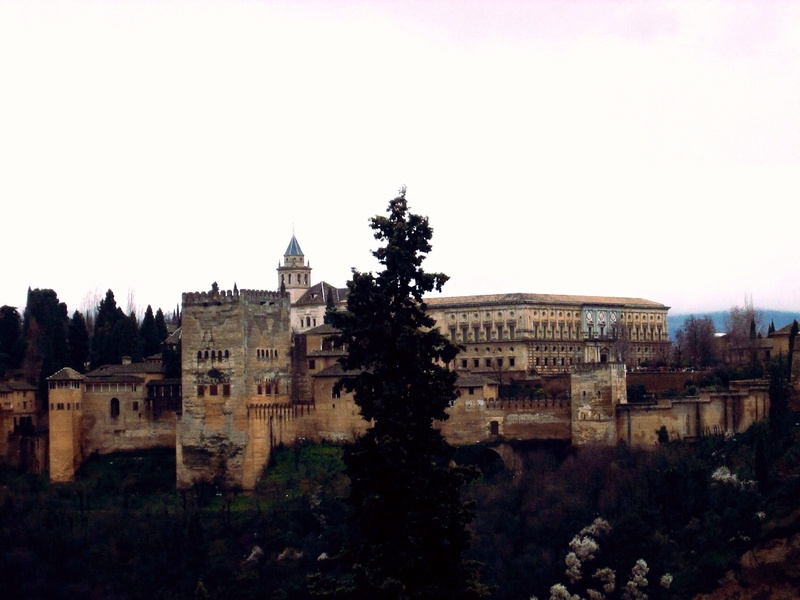 You’re going to fall in love with the history and beauty of Granada just like I have! Other than exploring the city, I’ve been working hard in my classes and speaking a lot with my host mom. Up next on my task list is to meet more locals so that I have more people to talk to. API allows students to receive a second family as an “intercambio” (language exchange) and if I still can, I think I may do that, just to have another person to talk to! That’s all for now!